Bryan, TX, January 25, 2018—CHI St. Joseph Health will become the first health care provider in the Brazos Valley to offer full-time PET/CT Scan Services, beginning Mon., Feb. 5. 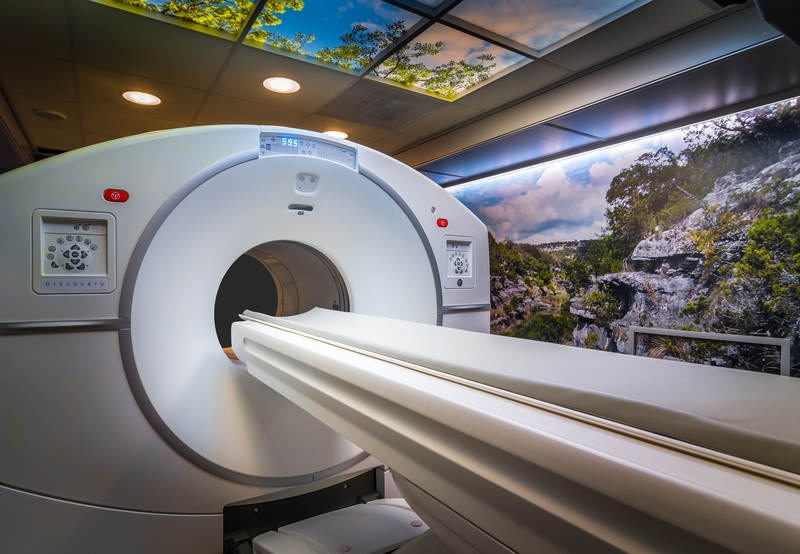 CHI St. Joseph Health recently invested in GE Healthcare’s Discovery™ IQ PET/CT system, the most sensitive cancer imaging system on the market and the first of its kind being used in the Brazos Valley. The new device will help physician’s better understand, track and treat cancer patients, improving diagnostic confidence for referring physicians and patients. Positron Emission Tomography (PET) uses radiotracers, a special camera and a computer to help evaluate patients’ organ and tissue functions. Combined PET and Computed Tomography (CT) correlates and interprets information from two exams onto one image, leading to more precise information and accurate diagnoses. Physicians can use Discovery IQ to more readily evaluate whether cancer treatment plans are working for their patients, as well as pinpoint small tumors and lesions, due to the high sensitivity of the PET technology. It also delivers scans in half the time, with half the dosage of radiotracers, a benefit for elderly or sick patients who may find it difficult to hold still for a long time. While physicians will primarily use the Discovery IQ system to scan cancer patients and monitor changes in tumors and diseases, they can also use the system to detect cancer early, with images that are two times improved in quality and quantitative accuracy. The system is designed to support physicians in making a more confident cancer diagnosis while providing measurements to help them track treatment progress. Most patients can be scanned in one acquisition, rather than two. Individuals up to 6’4” can be acquired in one pass, without the patient needing to be repositioned. About CHI St. Joseph Health: CHI St. Joseph Health was the first health system to introduce heart care to the Central Texas region. Today the health system offers patients access to a multidisciplinary team of cardiologists, cardiovascular surgeons and specialists trained in the diagnosis and treatment of multiple heart conditions. CHI St. Joseph Health also offers the region’s first Accredited Chest Pain Center with the highest level of accreditation in the region. Bryan, TX, March 2, 2018—CHI St. Joseph Health presented its new Legacy Award to six current and former team members for their commitment to Franciscan values and continuing the legacy of the health system’s founders, the Sisters of St. Francis of Sylvania, Ohio. Leaders presented the award in a ceremony Thurs., March 1 at CHI St. Joseph Health Regional Hospital, recognizing CHI St. Joseph Health Primary Care Bryan Dr. Stephen Braden, Cancer Center Social Worker Betty Jo Harp, retired Administrator and Vice President of Rural Hospitals Reed Edmundson, Internal Medicine and Primary Care Navasota Dr. C. H. Prihoda, retired Physician Dr. John Hall and Medical Staff Services Director Kathryn O’Briant. 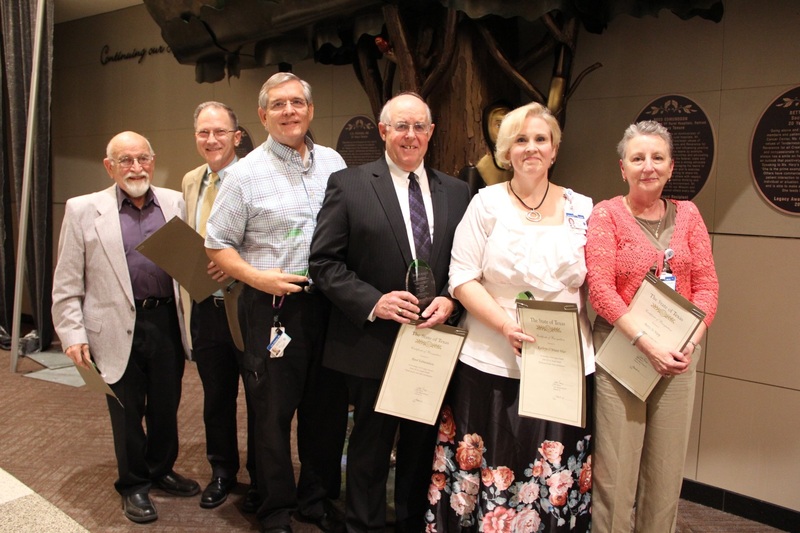 Legacy Award recipients were nominated by their peers across CHI St. Joseph Health for their commitment to the Sisters’ core values of Tenderness, Humility, Selflessness and Reverence for all Creation. Dr. Braden, a physician with CHI St. Joseph Health for 35 years, was honored for leading by example, treating patients with respect and for selflessly giving his talents to others in need of care. With CHI St. Joseph Health for 20 years, Harp was described as being helpful and compassionate in her delivery of patient care, bringing to her work an outlook that positively influences those around her. Edmundson, who served the system for 20 years before retiring in 2017, was nominated for his passionate service to CHI St. Joseph Health’s rural communities, advocating for their access to health care at the federal, state and local level. A family physician in Navasota for over 30 years, Dr. Prihoda’s philosophy of care is that he uses his gifts to practice medicine and lets God take care of the rest. Coworkers stated that Dr. Prihoda’s patients see him as an extended member of their families. Dr. Hall, a family physician for 47 years, was described by his peers as a man of utmost integrity and honesty, viewing his physician role through the lens of a caregiver in service to his patients – a value he worked to instill in physicians he mentored. O’Briant, who has worked with CHI St. Joseph Health for 23 years, was described as approaching her role with generosity, modesty and a servant’s heart, always ready to listen and selflessly give of her time. Honorees received a plaque, which will be displayed in Regional Hospital near a newly installed Legacy Tree, commemorating the core values of the Sisters of St. Francis of Sylvania, Ohio. About CHI St. Joseph Health: Since 1936 CHI St. Joseph Health has been caring for the communities of Bryan, College Station, Brenham, Hearne, Navasota, Caldwell, Madisonville and Bellville. With the area’s only Level II Trauma Center, the first Joint Commission-certified Primary Stroke Center and the first accredited Chest Pain Center in the Brazos Valley, CHI St. Joseph Health is a leader in critical care and the largest provider of cardiovascular care in the region.